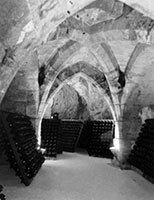 Maison BINET transfers its wine cellars from rue de Courlancy to the mediaeval crypts of the old Saint-Nicaise Abbey on the heights of Reims and establishes its offices at rue Colbert close to the town-hall of Reims. Dating from the XIIIth century, the Saint-Nicaise Abbey was destroyed during the French Revolution and then rebuilt. Well-preserved and still used to this day, the cellars are a vestige of Gallo-Roman period chalk pits with a four kilometer trail of caves located some 18 metres underground. At the same time… The 1928 Winter Olympics held in St. Moritz, Switzerland, are the first Olympic Winter Games organized as a separate event from the Summer Olympics (February 11–19).